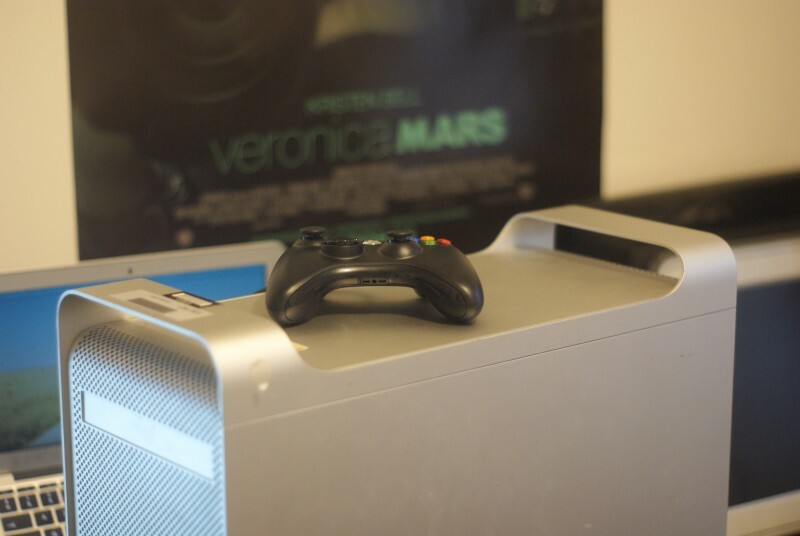 La note a été taggée English, Power Mac G5, Prototype, Xbox 360. The Power Mac itself is a classical model, a Power Mac G5 including two 2 GHz processor and an AGP graphic card (here a Radeon 9600 256 MB). The machine has 3.5 GB of RAM (I don’t know if any memory was added) and I had not got the original hard drive, then the machine was reinstalled under Mac OS X with a hard drive that does not come from Apple. In the special features of this model, you shall note the presence of a PCI network card, from Intel, and the fact that the RJ45 plug is blocked on development kits. The serial number starts with XB, but it is a priori a coincidence, it’s just the reference number of an Apple factory (ElkGrove/Sacramento). 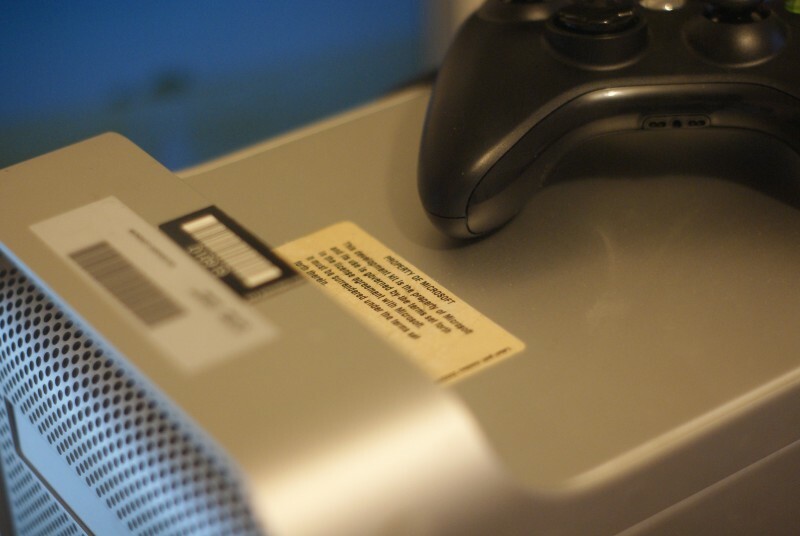 On the Mac, you can find some stickers that indicate that it belonged to Microsoft. My main issue is that I received the machine running under Mac OS X (it works perfectly on Leopard, like any Power Mac G5) and that I do not own the test software. 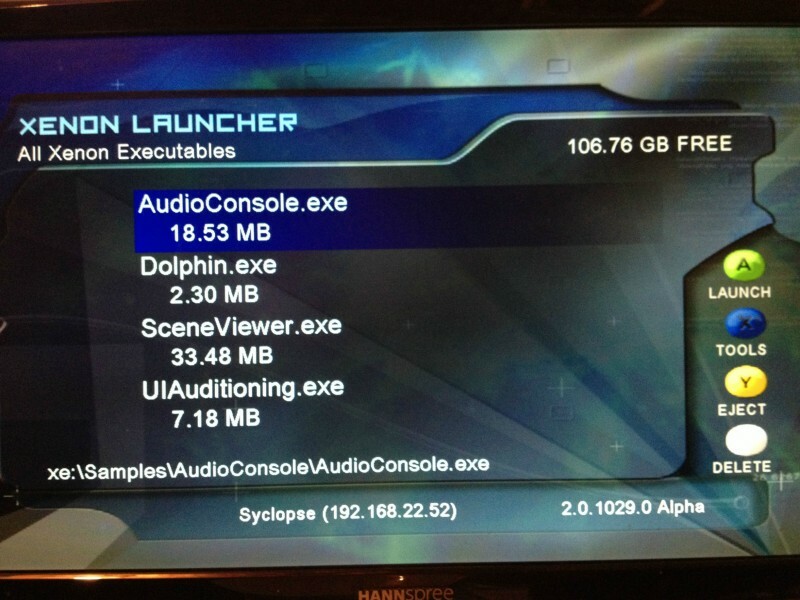 Someone obviously has several development kits, but is not willing to share the software for some reasons. 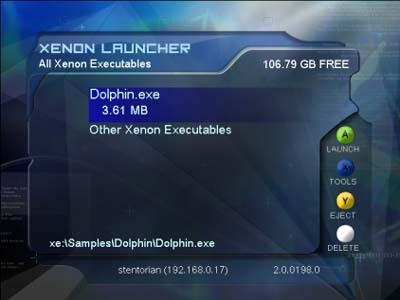 The operating system is called Xenon Launcher and offers some test files, and at least two versions exist (2.0.0198.0 and 2.0.1029.0). A recovery disc also exists a priori, which I have not. If you ever find (or have) it in stock, I’m interested. I just aquired one of these today! Unfortunatley it has no drive :( any way I could aquire a drive image from you ;) Mine is a DP 2.0mhz, 3GB RAM, 9600 256MB VRAM… just a bummer no HD… Same stickers as yours!